It's a Maxim on a De Dion-Bouton quadricycle with a motor (1899). Enough said. 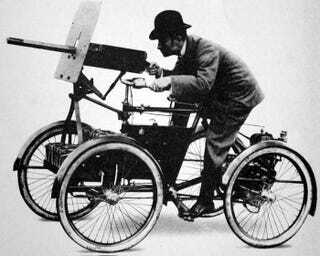 I believe there was an American one of these as well, named on some variation of "War Machine".